Are you looking for an iTunes converter or an mp3 music converter? If you own an iPhone, iPod touch or iPad, you will realize the iTunes has limitations when it comes to transferring certain music files to your device or from your iDevice to iTunes. This means that you cannot transfer certain music files to your iTunes backup before converting them to the supported file format. This can be annoying at times. 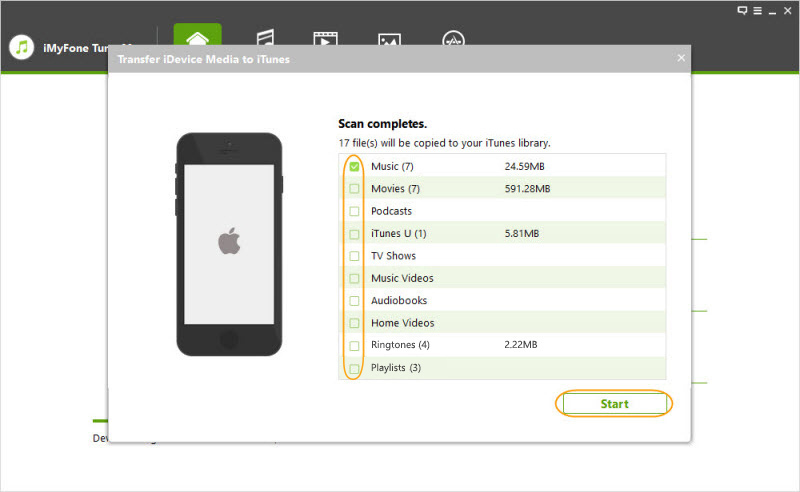 Luckily, with iMyFone TunesMate you can easily convert and transfer any music file to iTunes. With this tool, there is no need to convert the music file before transferring it to iTunes because it will transfer the suitable file format. If you need an iTunes converter or an mp3 music converter for transferring your iPhone music to iTunes, then here’s a professional tool for you. iMyFone TunesMate Music Manager is a tool that offers a wide range of features. 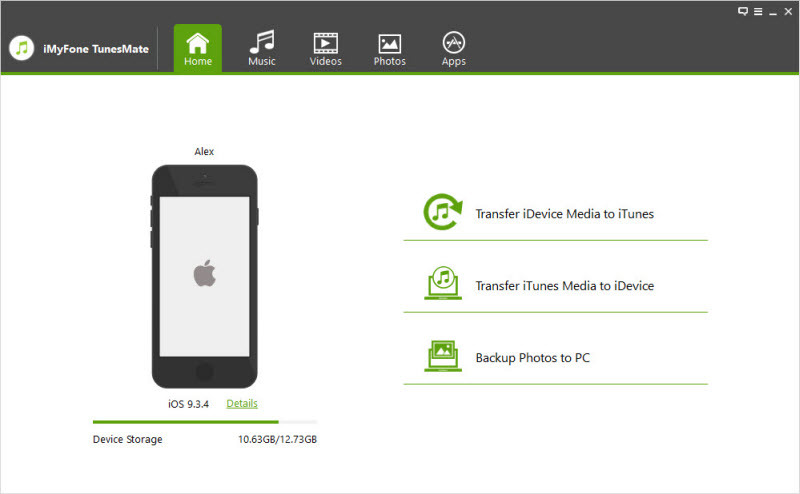 It is a tool designed for iPhone users and gives them the power to manage all their media files. With iMyFone TunesMate, you do not have to convert your music before transferring it. This tool actually converts the music file to the appropriate file format before it transfers it to iTunes. Two Way freely transfer between computer, iDevices and iTunes . Sync both purchased and non-purchased music to iPhone (iTunes can only sync purchased items) . Transfer various kinds of media files including videos, music, photos, ringtones etc. 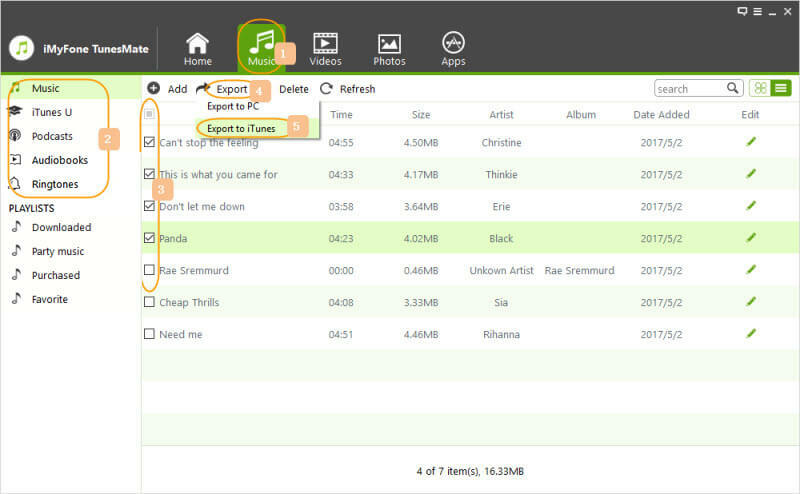 Sync unlimited iTunes libraries without erasing your previous music files on iDeivces. Have you ever noticed that the music on your iPhone will be deleted if you use iTunes to transfer music. You will lose music which is not purchased from iTunes. However, as a top music transfer tool, iMyFone TunesMate – the best iTunes converter for music transfer do whatever you want to transfer music to iPhone without data loss. It helps you overcome the annoying iTunes limits. iMyFone TunesMate acts as the link between your iPhone, iPod Touch or iPad and iTunes or your PC without any syncing issues. With this software, you can easily and conveniently transfer music from iTunes to your iPad, iPhone or iPod touch. 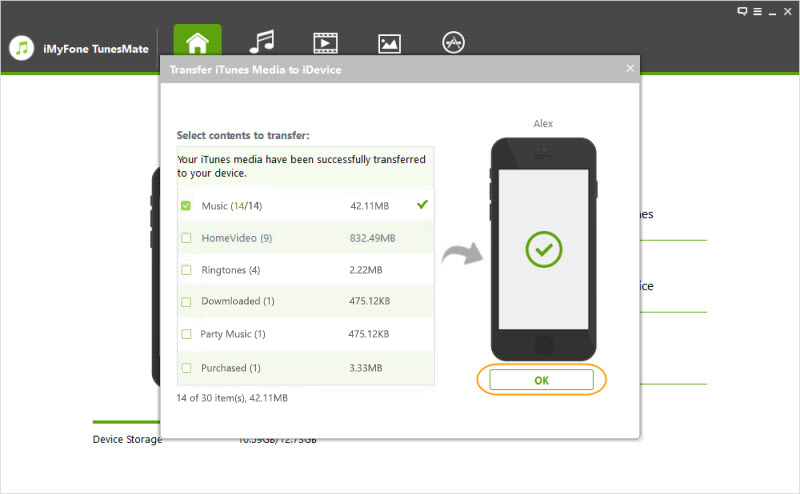 To transfer music files from the iTunes library to your iDevice, it is recommended that you use the program’s 1-Click Transfer iTunes Media to iDevice feature. Step 1: Download and open iMyFone TunesMate on your computer. Then use a compatible USB cable to link your device to the computer. Step 2: Choose Transfer iTunes Media to iDevice. Step 3: By default, the entire iTunes library will be selected. However, you have the option to select the specific files you want to transfer. Then click on the Transfer button for the process to start. Step 4: Once the process is complete click on OK.
iMyFone TunesMate also lets you transfer various audio files from your iDevice to your iTunes library. The best part about this tool is that it will detect all the audio files which are not in your iTunes library and only transfer what is not available in the library to prevent duplicates. The audio files include podcasts, music, iTunes U, Audiobooks, and playlists. There are two methods to transfer music from your iDevice to iTunes: Transfer All Music in One Click and Transfer Specific Music Files Selectively. Step 1: Download and launch iMyFone TunesMate on your personal computer and then attach your device to the computer using a compatible USB cable. Step 2: Click on Transfer iDevice Media to iTunes from the program’s interface. Tap on Start for the scanning process to commence. Step 3: By default, all the media files will be checked. However, you can uncheck the files you do not wish to transfer. Click on Start for the transfer process to start. Then click on the Complete button to finish the process. Step 1: Download and open the TunesMate program on your computer and connect your iDevice to the computer using a USB cable. Step 2: Click on the Music tab located at the top part of the program’s interface. Step 3: Select the music files to wish to transfer to your iTunes library and then click on Export, then Export to iTunes at the top bar. Step 4: You will be notified once the process is complete. Click on OK to close the window. Do not tie yourself down with the iTunes restriction when it comes to transferring music to your iDevice or to your iTunes library. With iMyFone TunesMate, the best iTunes converter or as an iTunes alternative, you can transfer any type of music file from your iPhone, iPod touch, or iPod to your iTunes library and from iTunes to your device easy and fast without any restrictions.